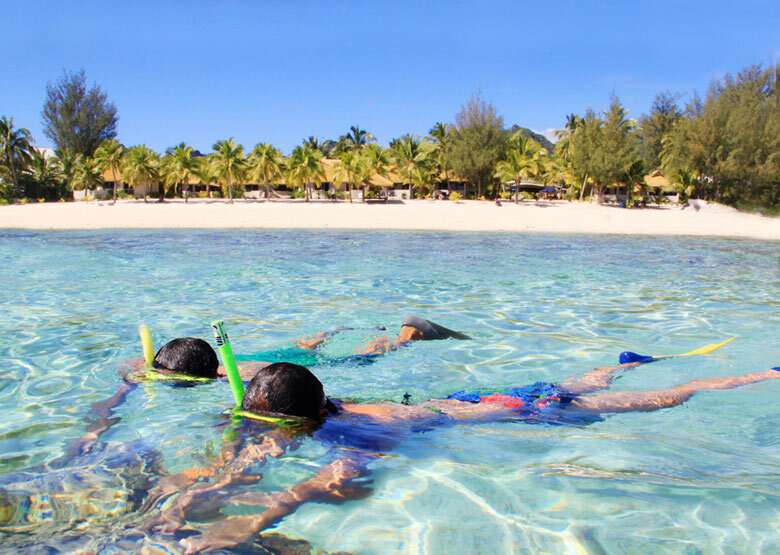 Crown Beach Resort is located in a beautiful position on Rarotonga, one that will provide fabulous sunsets & amazing snorkelling spots. Catering to guests 16 years & over, Crown Beach is one resort that you will just love. A great choice for the romantic guest who wants it all. 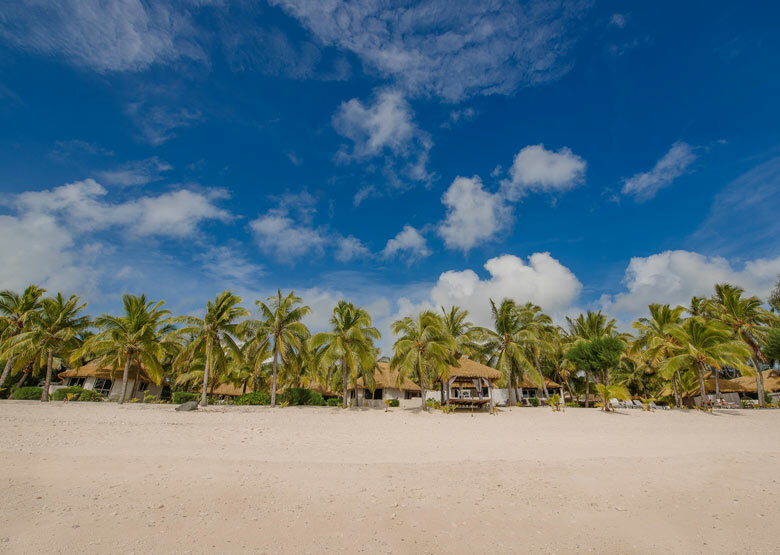 Set on 5 acres of tropical gardens fringed by a stunning turquoise lagoon, Crown Beach Resort & Spa offers its guests a luxurious boutique holiday experience. 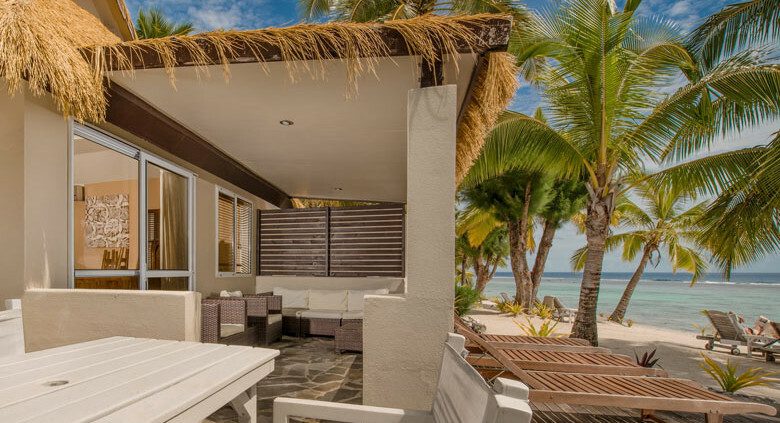 Its 36 stand alone studio, 1 and 2 bedroom villas are well appointed with a contemporary Pacific style designed with earthy tones, and are scattered throughout the property offering a mixture of garden and ocean views. 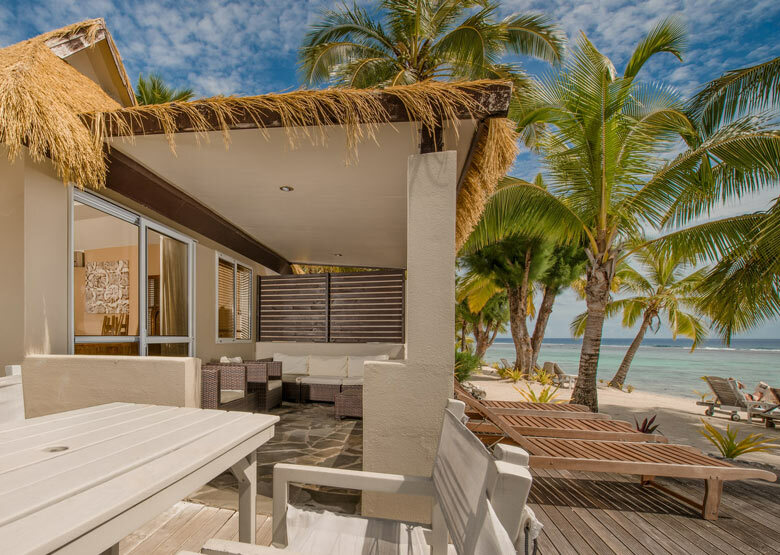 An onsite Spa, dive centre, gymnasium and 2 restaurants including the renowned fine dining experience, Windjammer, complete the guest services offered by this fabulous little resort. 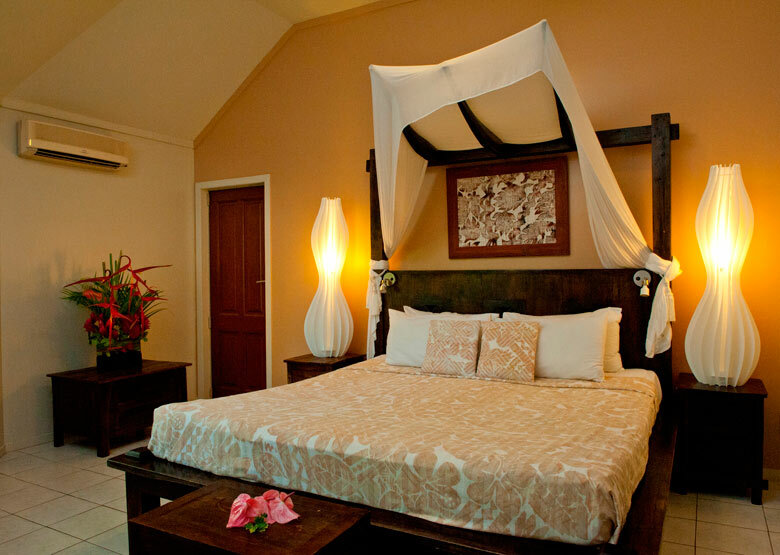 Located on the sunset side of the island just 15 minutes from Avarua and 10 minutes from the airport, Crown is an ideal option for discerning romantic couples. 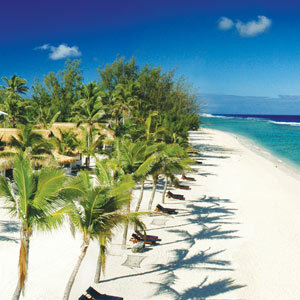 Location: Arorangi Village, Rarotonga, Cook Islands. Accessed by road from Rarotonga International Airport (15 mins). If your budget permits, the Courtyard Pool Suites are the most recently built and most decadent accommodation offered here. 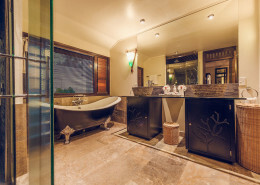 Set within the confines of your own walled courtyard, the privacy they afford and the size of your own private plunge pool outweighs the loss of the ocean view, which is best served with a cocktail at sunset in the resort’s bar. Crown Beach Resort is located in Arorangi on Rarotonga, Cook Islands. Getting to Crown Beach is easy! 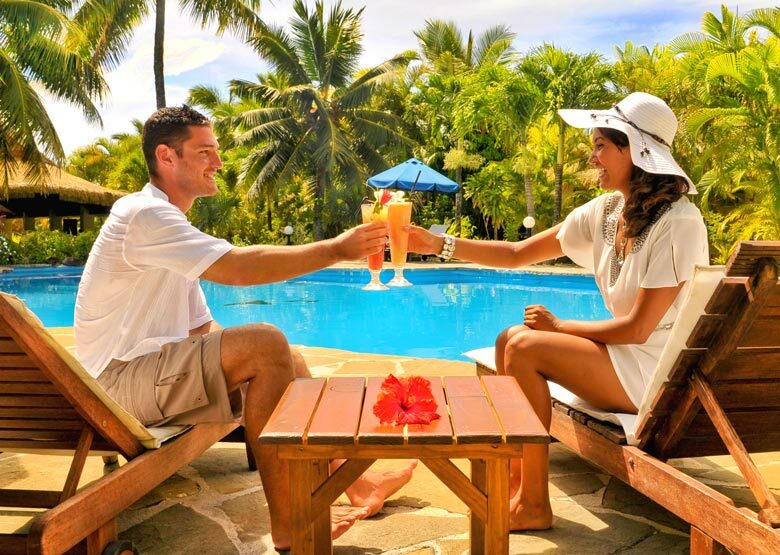 Transfer time is approximately fifteen minutes from Rarotonga International Airport? See map below for exact island location. What a beautiful location full of exotic flowers & smiling faces. There just are no words that can truly describe these people who are dedicated to make your stay unforgettable! We loved the bungalow style accommodation & the food was excellent & evening entertainment was very special. We will return.